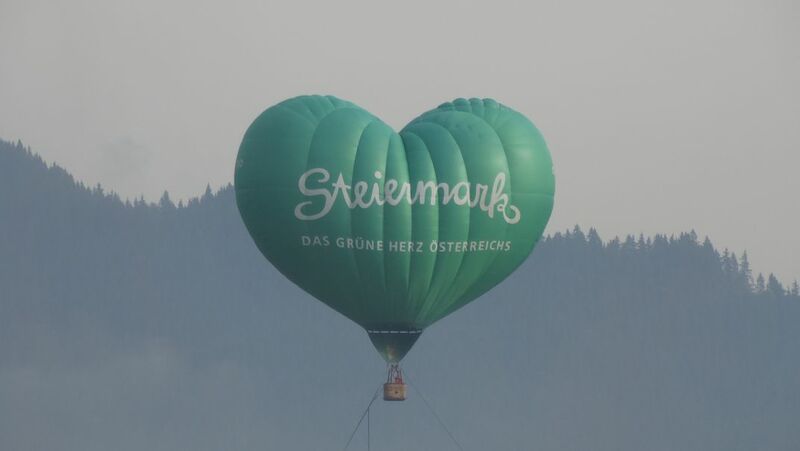 This heart shaped hot air baloon "Steiermark" (German for "Styria", not to be confused with "Syria") was displayed on the Airpower 2016 show in Zeltweg, Styria, Austria. 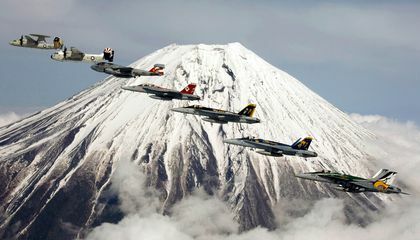 Styria is a province in Austria and her colors are white and green, so the baloon was also painted in the colors of the province. The text line says "the green heart of Austria". 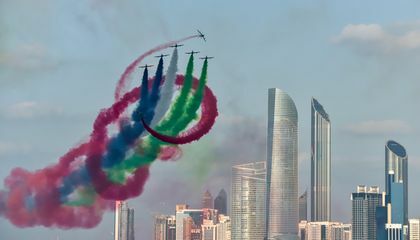 The slow graceful baloon movement was a stark contrast to the speed of the jets and other planes participating in the event. Date Uploaded: Oct. 22, 2016, 12:05 p.m.